Bitcoin prices fell about 9 percent this morning after one of the biggest exchanges in China said it will shut down its operation. BTC China said in a tweet Thursday that it will close down its operations by Sept. 30 as Chinese authorities crack down. 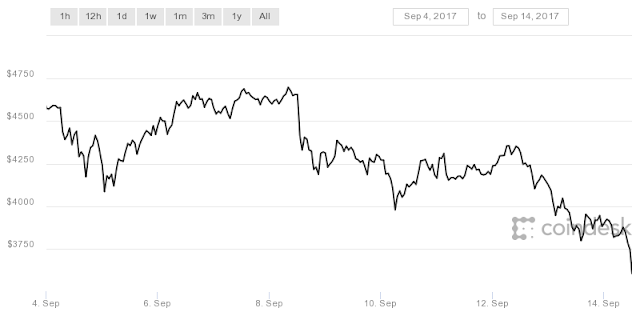 Bitcoin has lost more than 20 percent of its value since Sept. 4, when Chinese media outlet Caixin reported that regulators banned companies from raising money through initial coin offerings.